Icebug Oribi - Trail & Road Racer | Mud and Adventure | Outdoor Active Adventures Begin Here. Don’t let this shoe fool you, it is an absolute technological marvel: Light, very responsive, weather-resistant yet breathable, and suitable for hard & fast running in any conditions – on road & off. While not as flexible or neutral as the Acceleritas, the Oribi has just enough cushioning to soften the ride over rough conditions without too much cushion to make you feel disconnected from the trails – or roads. 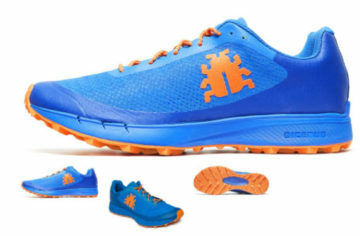 The Oribi is surprisingly nimble on sidewalks and roads as an everyday running or a weekend racer, with the sticky RB9X rubber tread providing plenty of grip on the trails without tripping you up on the roads. Don’t sleep on great little features like the laces or breathable tongue, Icebug spent plenty of time in R&D to find the sweet spot for a trial/road runner/racer, and the Oribi absolutely smothers it.